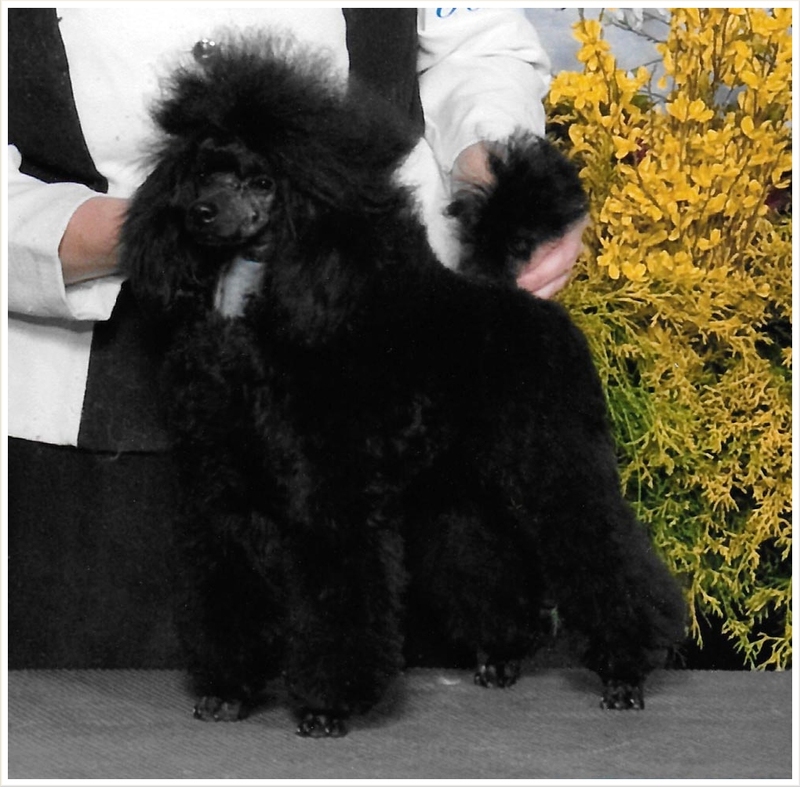 Shown sparingly while young, he quickly was awarded a 4 point major and a few singles from the puppy class, and placed at PCA (photo shown). He should have finished his champion quickly as a puppy after that, but decided he didn't like being away from home with a handler on and off the road. Upon my bringing him home with the intention of showing him at a later date I just decided that him being happy was more important than having a title. After all it's only us silly humans who care about such things, so I retired him from the show ring. He quickly proved his worth as a stud, producing awesome in size, show quality puppies with beautiful heads and movement. Louis is PRA clear, through DNA Optigen, eyes CERF and OFA patellas normal. A few notes regarding the below AKC generated 4 generation pedigree of Louis. The sire is always on the top followed by the dam in each box. The dates for each dog, are NOT their birthdates. These dates are the date each one appeared the the Stud Book for the first time, in other words when they had their first litter. Also this includes the color of each dog along with their DNA number, if it was required. Louis currently has two awesome litters on the ground born in March and April 2017.